Engaging Community with Engaged Team Members - Excellent Cultures Inc. The Umpqua Banking experience is more like a community get together than a staunch banking experience. Michelle Livingston fills us in on how they do things a little differently, how they serve community, and employ and engage great employees. 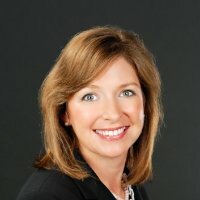 Michele Livingston is a Senior Vice President and Director of Lending for Umpqua Bank. Michele is responsible for the support to Retail Bank in consumer and small business lending. This includes loan processing, loan origination systems, interfacing with business partners and supporting the stores lending activities and production. Michele has been with Umpqua Bank over 4 years and most recently served as the Region Executive for Community Banking in Puget Sound and Portland, overseeing 60 retail stores. Michele has more than 29 years of experience in the banking industry. Michele’s background includes extensive experience in all types of lending, product management, operations and sales. Prior to joining Umpqua Bank, Livingston was First Vice President at JP Morgan Chase where she managed the operations of 13 retail bank branches and more than 80 employees. Previously, Livingston served as National Sales and Strategy Manager for Washington Mutual where she worked for more than 20 years. A true Seattle native, Livingston graduated from University of Washington with a Bachelor of Arts in Criminal Justice. In her free time, she enjoys a variety of outdoor activities with her husband and 8 year old and son including playing golf.